Pastyman™ is a family fun business owned by Kernow Limited. www.pastyman.co.uk will appear on all invoices and bank statements. Kernow Limited, 30 Kenley Road, St. Margarets, TW1 1JU. Contact : email, phone or fax. Pasties will be posted to you individually wrapped in Paper bags, stored in a Polystyrene cool box. Business Post Next Day before 12pm midday Guaranteed delivery is included in all prices. There is an optional 9am (�12 premium) or 10:30 (�5 premium) delivery if required. Please select either of these options on the order form if applicable. As long as the pasties are still frozen on arrival, it is quite safe to put them in your freezer and cook them at your leisure. If any are defrosted, please cook them straight away. Kernow Limited are unable to accept any liability if they are defrosted on delivery and no refunds will be given. All transactions will be in Pounds Sterling. We reserve the right to change prices at our discretion. 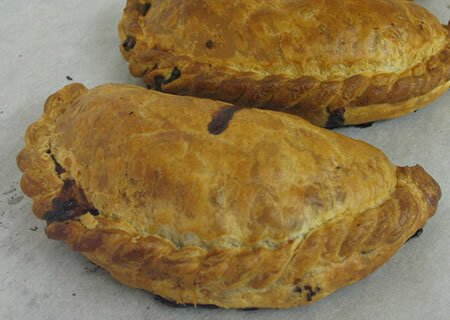 We will send pasties to anywhere in the UK that Business Post Next Day Guaranteed (before 12pm midday) will deliver. We are not able to delivery to Northern Scotland, Nothern Ireland, Outerlying Islands or Internationally due to the nature of our products. Please contact us for further information or to confirm delivery location. We will at all times do all we can to send you pasties! In the event that you have any query with regard to your order you may contact us by email, telephone or fax and we will deal with your query by return. Please have your order number handy.